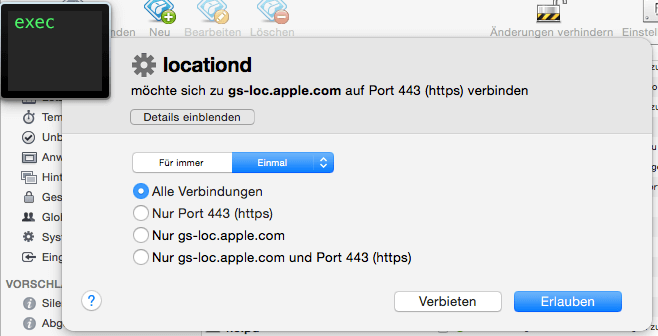 I personally like to use the Searchlight function of OSX, it provides me a fast way to access my files – but this it also sends my geolocation to apple everytime i do a search. This blogpost will be about how to disable or at least prevent the built-in search function „Searchlight“ from sending your IP-location to the Apple Servers. This request was captured during a Burp session. you are done 🙂 Privacy saved. If you enjoy this – give me a feedback as a comment here or drop me an email at patrik.fehrenbach(at)it-securityguard.com if you guys are interested i might do a complete writeup about an OSX hardening. Thank you for this find, Patrik.